I have used the ALSJ for some years. I have given presentations on space exploration since 1969 when I was at school, and when people asked me if we really went to the Moon, my reaction used to be "Don't get me started on that!". Later on, I realised that I had to take it more seriously; and now I have a full 1.5-hour presentation entitled "Would You Believe - We Put A Man On the Moon". 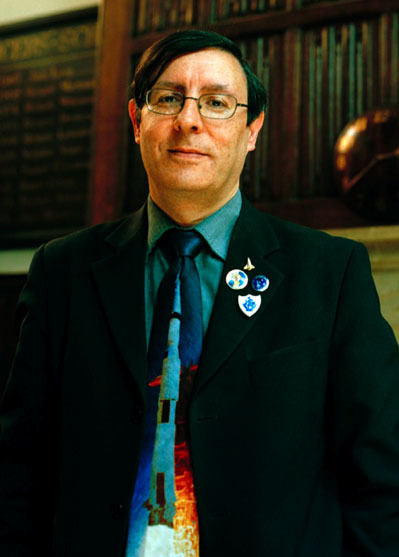 With the anniversary of Apollo 11, this has become my most popular presentation this year; just yesterday I was speaking at the Royal Observatory at Greenwich, and I am pleased to be doing so much to promote genuine science. I just wish I was earning as much as the 'Hoax' charlatans get for their rubbish. I often use images from the Journal, as they are of much higher quality than those selected to show, for example, that the fiducials allegedly go behind items in the photos! 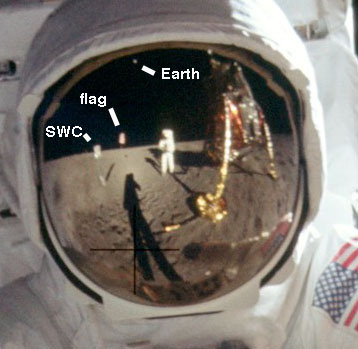 A great example of suing the images is in rebutting Kevin Overstreet's statment about an object that appears near Armstrong's reflection in the famous picture of Aldrin (Low resolution version of AS11-40-5903). 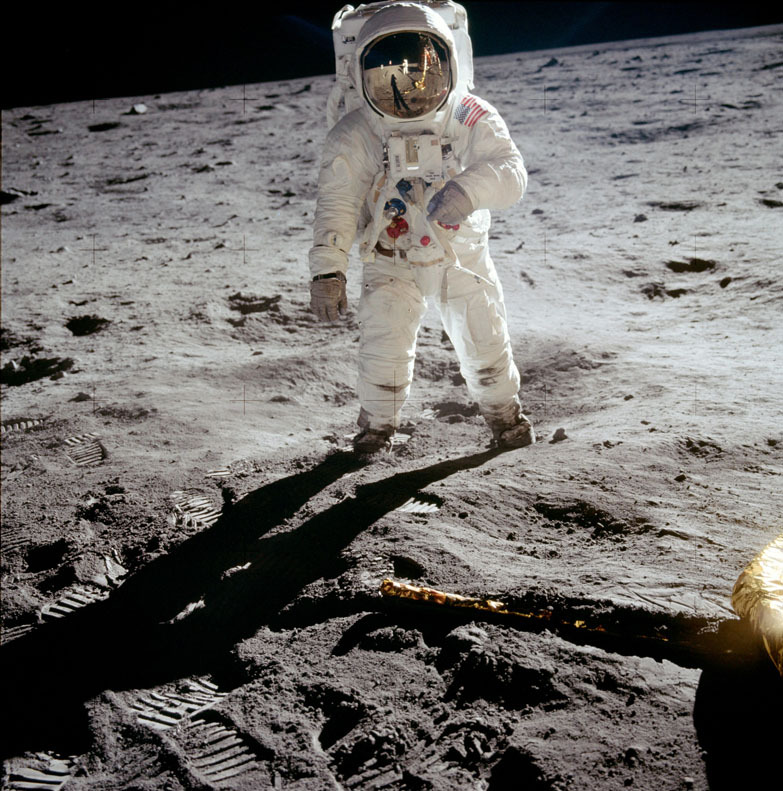 He says; "you can plainly see some type of structure reflected through (sic) Aldrin's helmet. I do not know what it is, but it is there!" I then say to audiences that "I do not know what it is" appears to be proof that the photo is a fake, and I ask if any of them have ever seen a photo which contains something they cannot identify. Does that mean those photos are all fakes? I then show a high-resolution version ( detail from 5903) of the photo (detail from 5903) where it is clear that the mystery object is simply the flag, which Mr Overstreet could have found out for himself if he had bothered to do any research. The latest images I have used are from Apollo 15 to refute a claim that in two pictures from the same place the Lunar Module is missing from one of them; AS15-82-11057 and AS15-82-11082. By rotating the images so that the mountains are superimposed and flipping between them it is actually clear that they have been taken from two different positions.